From this square on Barcelona’s Montjuïc mountain you have a beautiful view over the old port and city. It is surrounded by a nice garden area and the possibility to have a drink or snack in one of the bars or restaurants. The walk up to this little house called Caseta del Migdia on Montjuic mountain takes around 30 to 45 minutes. Alternatively, you can take the Bus 150 from T Plaça Espanya. 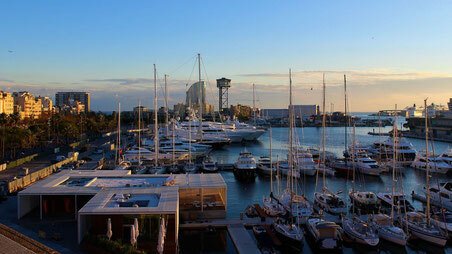 The views are spectacular as they show you the industrial port and the ‘back’ side of Barcelona. It is one of the best places to see the sunset in Barcelona as the sun goes down just behind Barcelona’s local mountain and here you are on top of it! Tip: Bring your own picnic as there is no bar or café inside the park. 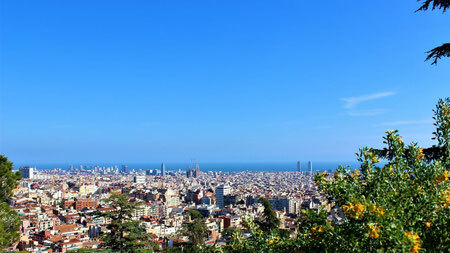 This is definitely the highest point you can get in Barcelona and you can already see it from the city center. 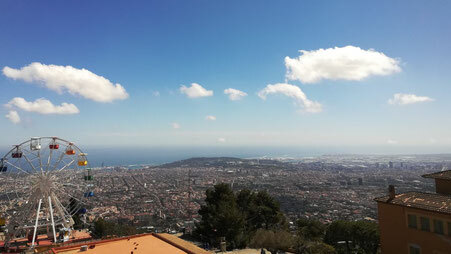 The Tibidabo area does not only offer spectacular views over the city but also a beautiful church and right next to it a small leisure park. 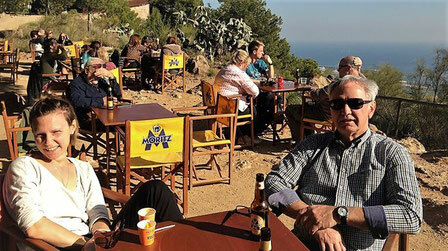 Once a hidden treasure it became quite famous, but the Terrassa de les Indianes is still a fantastic space to have a drink and enjoy the wonderful views over the old port of Barcelona during sunset. It is on top of the museum of history - just enter, take the elevator until the highest floor and head to the huge terrace! Tip: If you have to queue or the terrace is closed for a private event, check these two options close by: the terrace of the hotel H10 Port Vell or the terrace of the hotel H54. Both rather small but with encanto and especially the H54 has very reasonable prices being a hotel in Barcelona with such a nice terrace! The Hotel Grand Central is a beautiful 5* luxury hotel in the charming barrio Born. 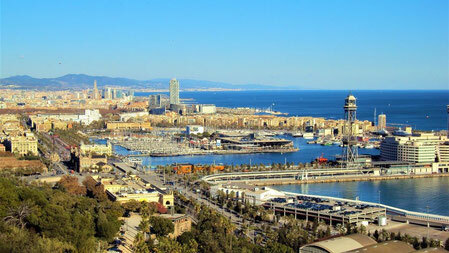 You have amazing views over the historic neighborhood of Barcelona and especially over the cathedral. 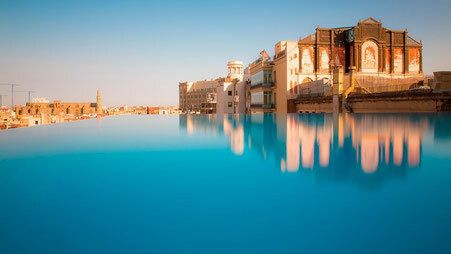 The infinity pool makes the perfect spot for a great picture! Tip: if it is full or crowded, check the hotel H10 Montcada closeby! 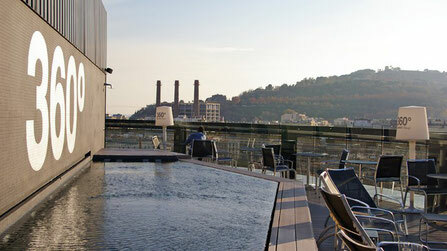 The terrace of this 5* hotel Barcelo Raval is not only one of the few viewpoints in the old town but it also offers a fully 360 degree view! Tip: Enter the hotel, take the elevator and enjoy the view but do not necessarily have a drink - we prefer to mingle with people in one of the bars in the narrow streets of Raval or on the very nice boulevard just in front: Rambla del Raval.